Richie is a Brisbane boy who attended Anglican Church Grammar School. He graduated from the University of Queensland Dental School with honours in 2007. Upon graduation, he travelled north and worked in Yeppoon for three years. Richie moved back to Brisbane and began working at Coorparoo Family Dental in 2012. Richie’s great passion is Dentistry. He prides himself on providing careful, comprehensive dental treatment and enjoys all aspects of Dentistry. 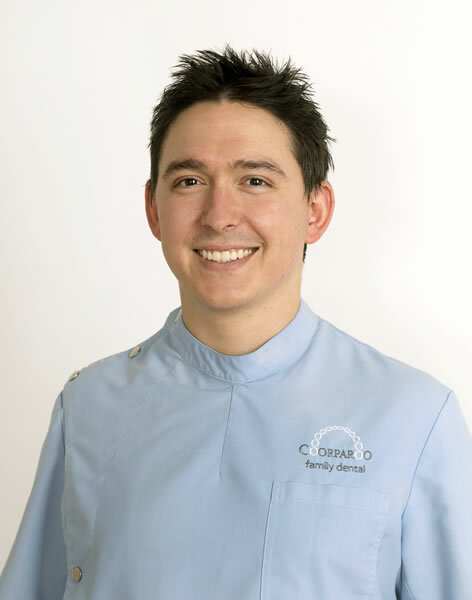 His patients love his relaxed demeanour and appreciate his excellent technical skills. Richie seemed destined to be a dentist from the outset, his father is a professor of dentistry, and his uncle and brother are also dentists. Outside of dentistry Richie loves spending time with his wife Kylie, their rapidly growing little boy Lachlan, their gorgeous girl Georgia and puppy dog Bozley. Richie is an excellent cook with his very own backyard pizza oven, a dedicated foodie (who loves a good restaurant recommendation) and a coffee connoisseur when he can find the time. He’s always staying active whether it be tough mudder, touch football or snowboarding in New Zealand.